Design Inc has recently supported long standing private aviation marketing client Vertis, helping with their exhibition promotion planning: before, during and after the NBAA private aviation show taking place in Orlando this week. Our exhibition promotion planning support fincluded the creation of a specially branded lucky usb ‘key’, a promotional microsite and brochure. The promotion was also open to online users of the Vertis Aviation website and visitors to the Vertis exhibition stand which was part of the Avinode area at the show.The incentive of entering a draw winning an iphone 6 plus was offered in return for the respondents data and areas of interest within private aviation. 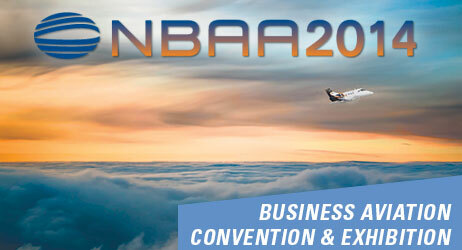 The Business Aviation Convention & Exhibition the world’s largest and most important business aviation event. Ranked as the fourth largest tradeshow in the U.S., NBAA2014 features over 1,000 exhibitors showcasing the latest products and services in the industry, nearly 100 side-by-side business aircraft at the static display, opportunities to network with 25,000 business aviation professionals and dozens of education sessions to ensure you are operating as safely and efficiently as possible. Vertis Aviation exhibited at NBAA2014. The Vertis fleet is an optimised portfolio of premium private aviation heavy jet aircraft types and includes an outstanding example of the Airbus Corporate Jet. Vertis provides a bespoke approach for select clients whose needs match the design of their aircraft fleet in terms of profile, positioning and availability. Vertis Aviation is a unique boutique practice with unparalleled experience and commercial creativity. They deliver through exclusive direct charter of their own luxury fleet or through their ability to negotiate innovative charter brokerage contracts. Vertis Aviation also offers independent private aviation consultancy and intelligent aircraft management and marketing.